In a brand new strategic move to completely eradicate the crypto and ICO industry from their market, China has decided to block access to any cryptocurrency and ICO-related website to anyone within the mainland’s borders. Many experts believe that China’s new power move was a long time coming. 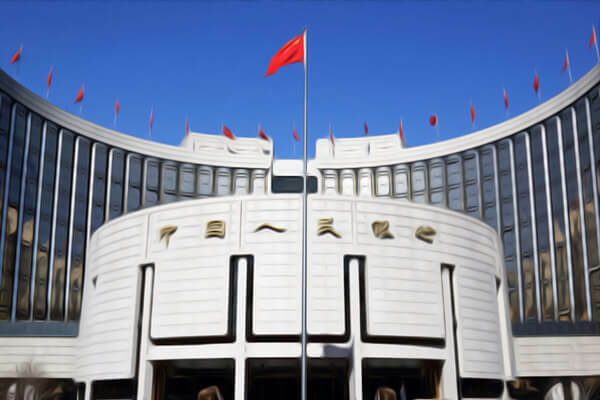 The People’s Bank of China is the central bank of China with the power to carry out monetary policy and regulate financial institutions in mainland China. China had long ago established its position as one of the world leaders in several industries, and certainly the financial sector. China boasts an immense international economic influence and has contributed greatly to the international industries of business, service providing, and manufacturing. Considering its vast power, it was inevitable that China would take a firm stance regarding cryptocurrencies. Those against cryptocurrencies and initial coin offerings (ICOs) have argued that, if nothing else, the digital currency industry is mushrooming at an unprecedented rate which is not only unsustainable but downright dangerous. Those opposed to the industry also added that the cryptocurrency industry resembles that of a black market, especially considering its purely virtual presence and the fact that it was designed to operate on a peer-to-peer basis. The same opposers have argued against the ICO industry, by stating that the novel startup funding method has gathered so much hype and mania that there remains little sensibility or sustainability behind an otherwise interesting concept. 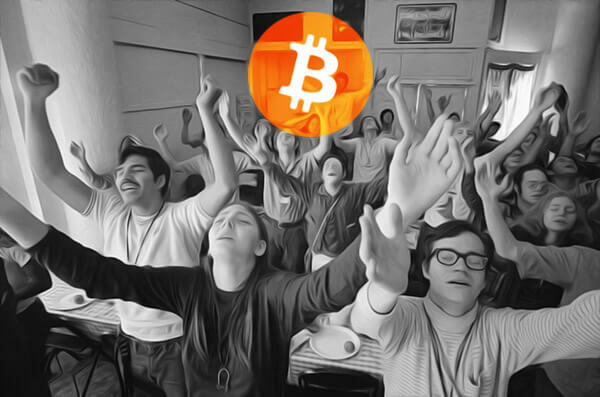 In the wake of the increasing crypto craze, both cryptocurrencies and ICOs have reached a cult-like status. History shows that cults are mostly driven by an irrational and obsessive group of people who seems to have gotten lost in the cult’s own ideology. The same could be argued in the case of cryptocurrencies and ICOs, two industries which have respectively gathered such an immense following and subculture around them that it penetrates every single sphere both online and in real life. The new cults of the 21st-century are driven by staunch believers and advocates that seem oblivious to the questionable nature of their overhyped financial products. Cults stem from subcultures, an enigmatic entity which is known for rebelling and taunting mainstream ways of thinking and living. Generally speaking, cults demonstrate mercenary or otherwise anarchistic intentions. However, history has proven that no cult is ever sustainable. Cults generally see the light of day soon enough; the more dangerous ones are often dismantled through state intervention. However, considering the implications of a crypto cult and its subsequent mushrooming hype, the onus should fall on the world’s major financial leaders to make a decisive move to discourage more people from being swayed by Bitcoin’s far-reaching influence. The world’s largest economic influencers, China, Japan, the United States, and the United Kingdom have a responsibility to their respective citizens and the rest of the world to provide guidance in this matter. Yesterday, the crypto markets experienced a significant recovery on news that US regulators confirmed that they intended on adopting a “do no harm” approach when it comes to cryptocurrency regulation in an attempt to meet the demands of the new digital era. In the U.S., the Securities and Exchange Commodities (SEC) view cryptocurrencies as valid commodities.Technically they are right in this consideration. 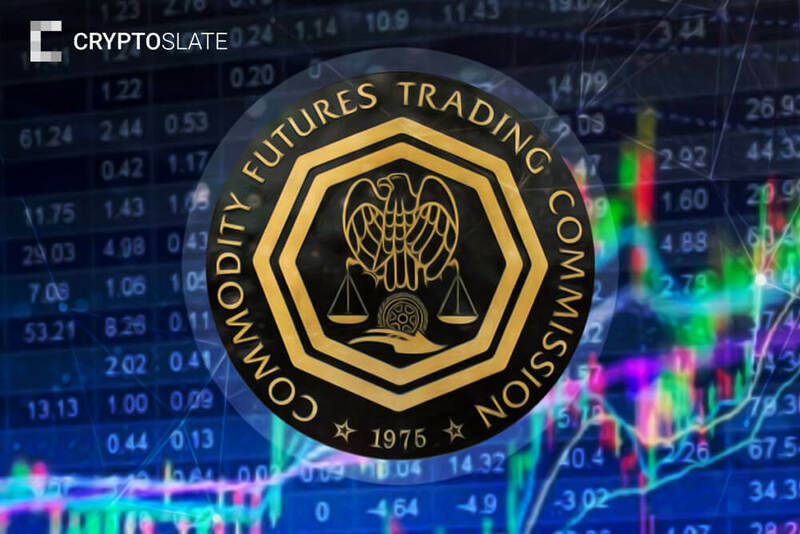 The commodity is mined, is circulated, is available in a limited supply, and is listed on two of the world’s biggest traditional exchanges, CME Group and Cboe as futures products. Despite the SEC’s view of cryptocurrencies, the U.S. government disagrees. In fact, the U.S. government has demonstrated a rather severe attitude when it comes to the industry. The Federal Bureau of Investigation (FBI) has already conducted several examinations of certain fraudulent cryptocurrency-related schemes and ICO projects. The government seems determined to stifle the mania before U.S. citizens are severely affected by the dangers of the industry. On UK shores, the attitude is somewhat ambiguous. The country’s foremost financial regulator, the Financial Conduct Authority (FCA) has neither spoken for nor against cryptocurrencies, which has led to chaos such as severe losses among brokers and in a particular case, a brokerage’s failure to remunerate their affiliates. While the FCA insists on KYC (Know Your Customer) protocols, the system is in its infancy and is grappling with how to address regulation. Japan was ranked as our 5th most friendly crypto country. Japan, however, has established itself as a leader when it comes to cryptocurrency. The Japanese people are known for their conservative nature; however, the country’s regulator, the Financial Services Agency (FSA), is perhaps too reliant on these aspects considering their lenient regulation. Despite previous disasters, like the Mt Gox incidents, Japan’s government, regulators, and the public still seem enthusiastic about cryptocurrency, as it currently accounts for 35% of the international daily trading volume. However, China is vastly different from its peers. The Chinese government and society demonstrate inherently communist qualities. Citizens are reliant on a centralized, government-approved structure wherein which they organize and navigate their lives. The Chinese market is remarkably controlled despite the country’s economic prosperity. The government restricts contact with the outside world while the Chinese people are focused on industry. Considering China’s immensely centralized system, it is easy to see why they would be cautious if not downright suspicious of a new economic movement which promised decentralized freedom to the masses. At the end of the day, cryptocurrency proved a threat to the manufacturing powerhouse that is China. China was the first country to be pro-active in questioning cryptocurrency and restricting their citizens’ access to it. In September 2017, the country made the decision to ban all cryptocurrency trading on exchanges from the Chinese mainland. Not only could the volatile crypto and ICO market severely impact Chinese citizens, but the ideology behind it could severely undermine a government and societal structure that has been built around the ideas behind communism and a centralist system. Cryptocurrency could threaten China’s vast economic power, influence, and position in the world. 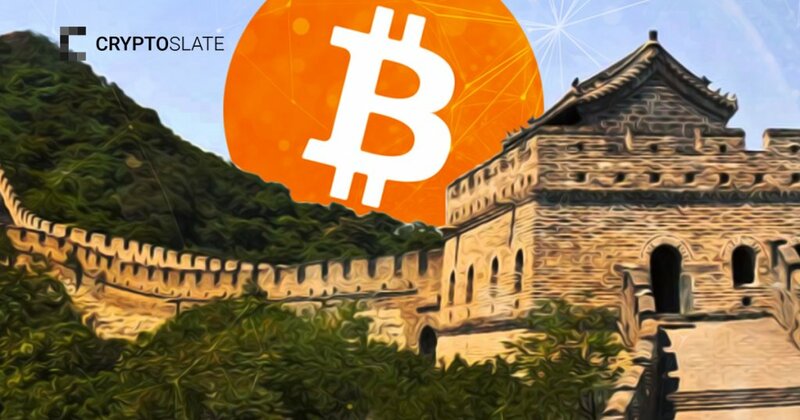 Earlier this week, the Chinese government confirmed that they will shut down all China-based exchanges that had failed to comply with previous orders to eradicate cryptocurrency-related trading on their platforms. They will even blacklist any international website that mentions cryptocurrency. According to a Chinese state-owned news outlet, several cryptocurrency trading platforms and ICO campaigns remained active in the Chinese mainland despite previous bans. After the initial ban, several investors turned their attention to investment opportunities abroad in order to evade local regulation despite the obvious risks involved. In addition, the media outlet, Xinhua, noted that the country’s central bank, the People’s Bank of China, stated that they intended to review and tighten their regulatory policy in order to monitor any international transaction that might be linked to cryptocurrencies or ICOs. NEO, also known as “China’s Ethereum” has enjoyed an incredible price rise despite China banning all crypto trading in September. However, Beijing’s government is planning a more pro-active approach by simply intending to ban all individuals from accessing crypto and ICO-related sites from the Chinese mainland. This announcement was met with some hostility as crypto prices became immensely volatile and investors became frantic. Following the Beijing government’s announcement, the Chinese search engine service, Baidu, is no longer allowed to display crypto or ICO ads. The Chinese social media platform, Weibo, is under the same restrictions. However, according to the Tokyo-based bitcoin trader, Donald Zhao, many China-based users simply use virtual private networks (VPNs) to access international crypto exchanges and to evade detection by the government. Zhao noted that China’s latest crackdown might even render this workaround impossible. According to an ICO CEO, Wayne Cao, this new decision is likely to influence the crypto industry. Cao noted that the majority of ICO investors are Chinese, which means that the market will experience vast sluggishness in the next few weeks. The market will definitely be impacted by China’s decisive action. Only time will tell whether any of its financial peers might venture to adopt a similar strict attitude when it comes to cryptocurrencies.